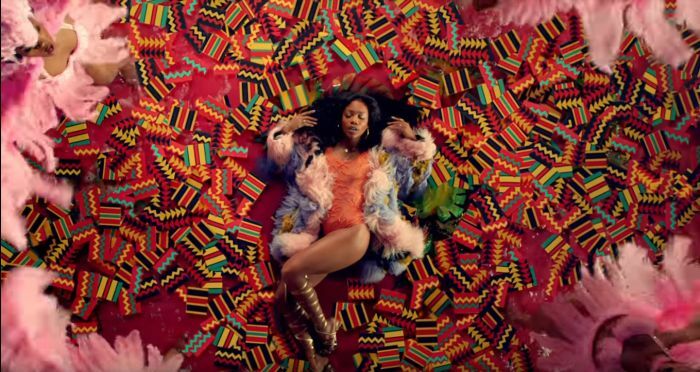 Floating on a kaleidoscopic sea of vibrant African prints – it’s not hard to spot the celebration of Ghana’s glorious Kente fabric in Kendrick Lamar and SZA's All The Stars music video for Marvel’s Black Panther. 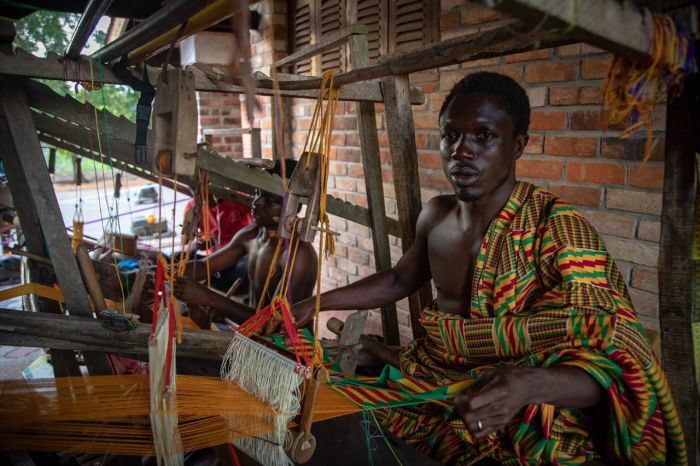 This week, Africa Connected’s Lee Kasumba chat to Nana Kumi in the heart of Ghana – where the traditional Kente Cloth is passionately woven by the hands of Ashanti men, who give each piece of sacred cloth a philosophical, historical and regal name. I was fascinated that all the weavers were men. Legend has it – in 1601, a man named Ota Karaban and his friend Kwaku Ameyaw from a village in the Ashanti region, were inspired by the beautiful sight of a spider weaving its web. After spending some time observing the spider’s art, the men wove a strip of all-white fibres from a raffia tree and presented the woven cloth to the king. The king approved it as a royal fabric and, encouraged its production for prestigious occasions – thus becoming known as the fabric of the king. A few centuries later, Portuguese traders introduced weavers to silk which was then strictly reserved for royalty. Over time, cheaper materials were sourced to produce more affordable fabrics for the general public. To weave one scarf takes an entire day. Over the years, the textile manufacturing in Ghana has shown significant signs of growth – allowing weavers to promote its high-quality fabrics as “Made in Ghana” to niche markets. To regulate the industry, the government has initiated a number of policies aimed at restructuring the industry and promoting domestic and foreign investment.